The introduction of the Premier League era in 1992, and the ridiculous TV money that came entangled with the change in branding ushered in one of the most drastic changes to football culture in England that the country has ever seen. By and large, out went the one club men, and in came vast imports of foreign talent on a scale that had never been seen in football previously. Some would say it raised the bar, some would say it was the death of world class British players, most are somewhere in between – but whatever way you look at it, it has been entertaining. With this in mind, then, we’ve picked a starting XI of the best foreign players to grace the Premier League in the 26 years since its inception. The ‘Great Dane’s’ eight seasons with Manchester United – seven of those under the Premier League banner – represent one of the most successful periods for a goalkeeper at a given club in history, winning five Premier League titles under Sir Alex Ferguson. He had absolutely everything you’d want in a goalkeeper – agility, reflexes, distribution, organisation – but above and beyond that, he was an innovator, and the first great ‘modern’ goalkeeper. His ‘star jump’ save technique, derived from handball, had never been seen before in football, and his legacy lives on even today through his son, Kasper – himself a Premier League champion with Leicester. This guy is often overlooked when you talk about the great foreign players of the Premier League era – and understandably so, considering some of the names in the conversation – but his list of accolades in his nine years with Chelsea is one few will ever match. The big, imposing Serb won three Premier League titles, an FA Cup, a Champions League and a Europa League featuring mostly at right back. 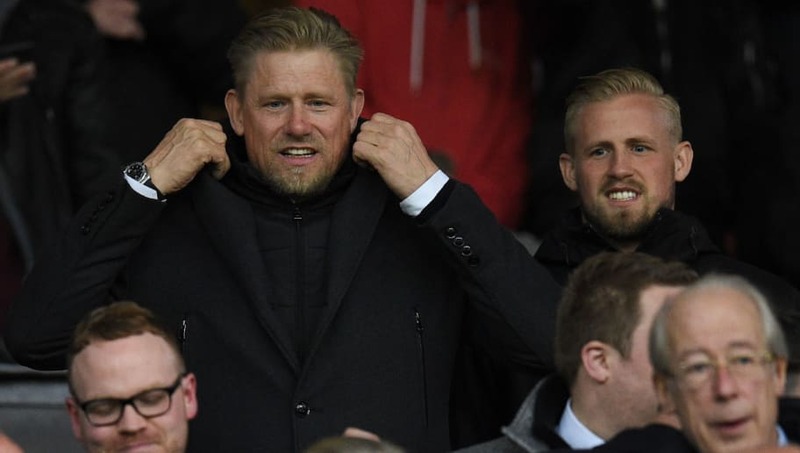 He was one of few constants during a turbulent period at the club, in which he was managed by 11 different head coaches before he departed for Zenit last year. The central defensive partnership of Nemanja Vidic and Rio Ferdinand is an immortal one in the eyes of Manchester United fans. Neither man was one to take flak from opposition attackers, but Vidic in particular established himself as the toughest player in the league in his eight seasons at United. He never really got a taste of failure under Ferguson in truth, winning five Premier Leagues, including the famed three in a row which saw them overtake Liverpool as the country’s most successful side. By the time he left for Inter in 2014, he was seen as one of the greatest defenders on the planet. 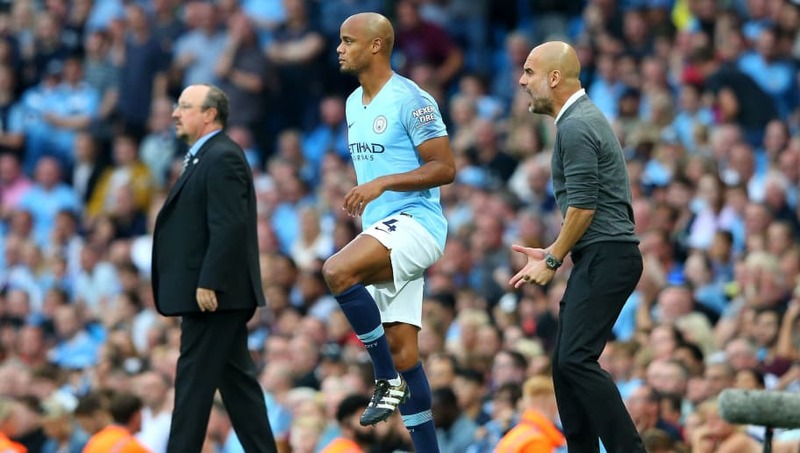 The tragedy of Vincent Kompany’s career is the amount of time he’s spent on the sidelines, but it speaks to not only his ability and unequalled leadership skills that, despite his horrendous injury record, he has outlasted almost everyone at Manchester City and remained the ever-present face of the ‘new’ City – the City that wins trophies. Without doubt one of the modern greats in defence, it’s so easy to forget that he’s only made 250 Premier League appearances for the club, winning league titles under three different managers in the process. 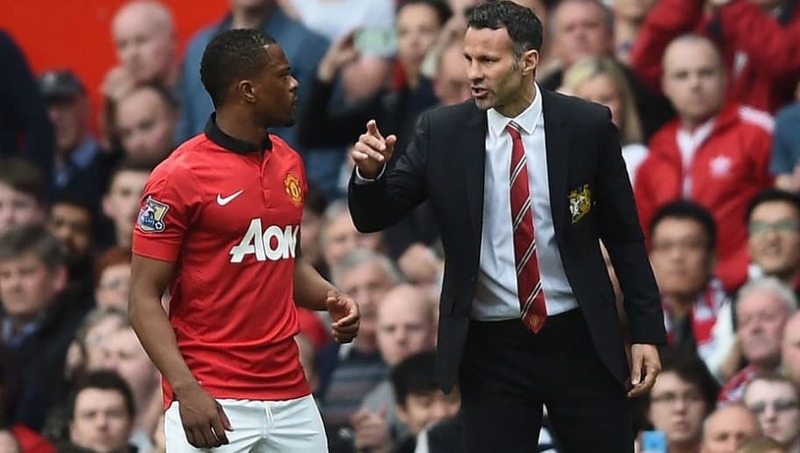 Evra was already established as a quality left back when he arrived in the Premier League in 2006, but it was in Sir Alex Ferguson’s great Manchester United team that he was able to flourish on the highest stage, and go on to become one of the best left backs in the world – captaining both club and country. While his playing career since leaving United hasn’t quite gone to plan, there’s no reason to doubt he’ll be remembered for anything less than the five Premier League trophies he lifted under Ferguson’s tutelage. 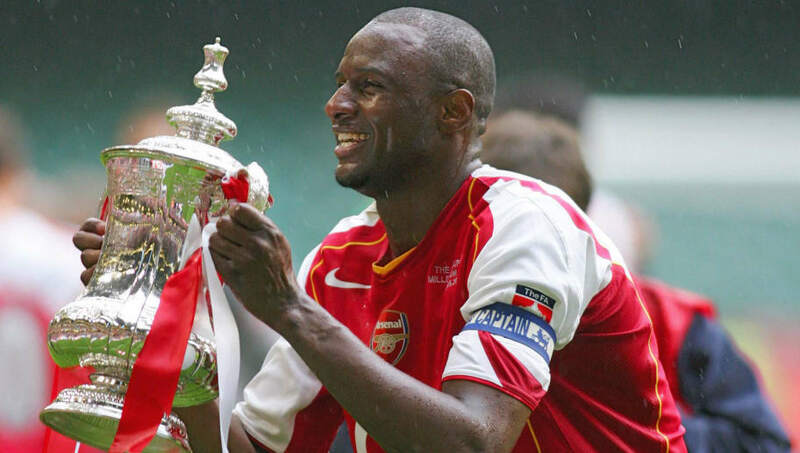 The man whose playing style encapsulated the spirit of Arsenal’s 2003/04 ‘Invincibles,’ Patrick Vieira was the perfect central midfielder. He had strength, energy, ability on the ball and the ability to pick out a pass, and was such an important part of Wenger’s success at Arsenal that even thirteen years after his departure, they still haven’t replaced him. He won three Premier League titles with Arsenal before a five year hiatus in Italy led him to return to Manchester City, for whom he would feature in the 2010/11 season before becoming head of the club’s academy. 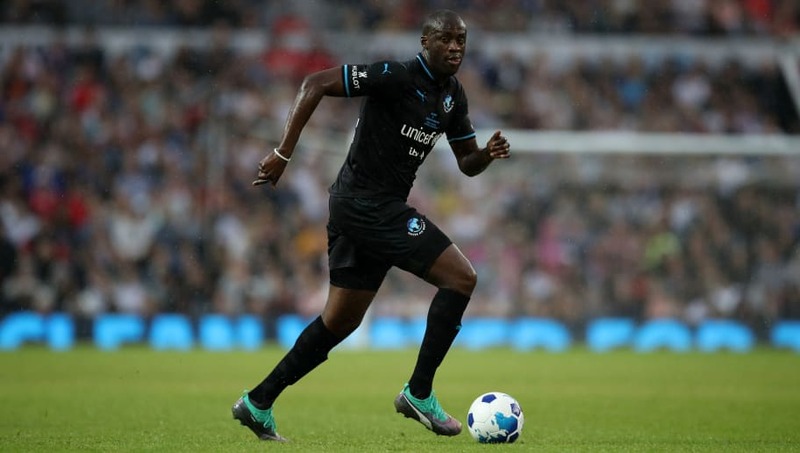 Roberto Mancini’s signing of Yaya Toure from Barcelona in 2010 would prove to be one of the most inspired signings of the Premier League era, even though at the time it was one that left many unconvinced. 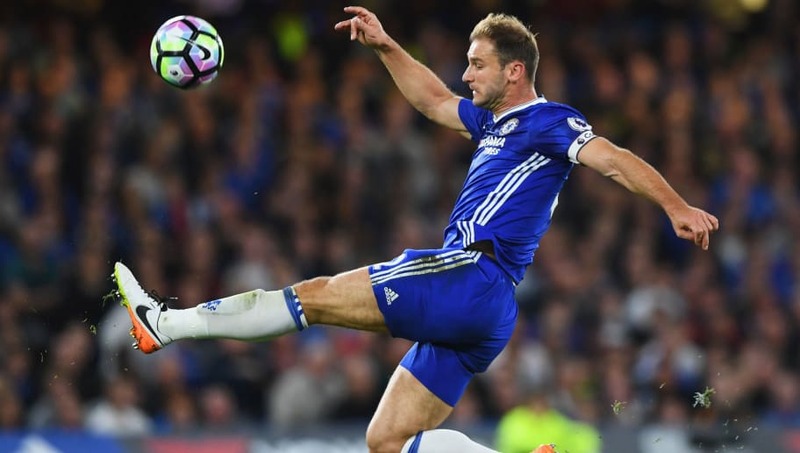 Throughout his eight years with the club, he was continuously one of the best players in the league, with his mixture of defensive rigidity and explosive attacking play completely unparalleled – with his 2013/14 campaign one of the greatest individual seasons in Premier League history. A broken down relationship with Pep Guardiola over the last two years resulted in minimal first team football during City’s famous ‘centurion’ season, but has done very little to tarnish his reputation in the eyes of City fans or players. 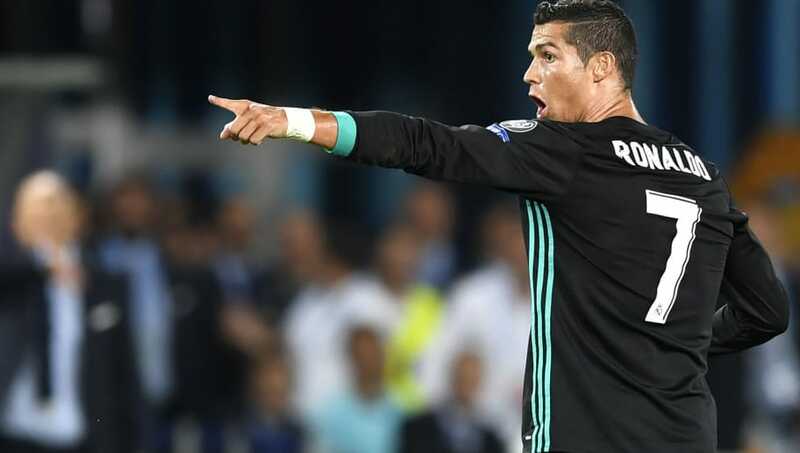 While it is comfortably fair to say that Ronaldo has enjoyed more success since leaving United than he did while he was there, he remains one of the greatest players ever to play in the Premier League era, and his 84 goals in 196 league appearances are evidence enough of that. His combination of pace, power, skill and a ferocious end product showed just how much of an inspired signing he was when United picked him up for just over £12m in 2003, making him the most expensive teenager ever. The number seven shirt he wore at United has stuck with him ever since, and has gone on to become an unshakeable icon of the sport. Speaking of players in the 7 shirt…one of Arsene Wenger’s many gems from the early 2000s at Arsenal, Pires took some time to get going after signing for £6m from Marseille in 2000, but once he got going he embarked on an Arsenal career that was little short of legendary. He won two Premier League titles and three FA Cups from six years at the club, during which he scored 62 goals in 189 games despite playing on the left of a midfield four for the most part. He did return to the league with Aston Villa in 2010, but failed to hit anywhere near the same heights, and soon after retired. One of few Arsenal legends who holds the distinction of having been at the club before Arsene Wenger, Dennis Bergkamp was one of Bruce Rioch’s last signings at the club, and served as the focal point round which Wenger built the Arsenal team who won three Premier Leagues – including the great ‘Invincibles’. 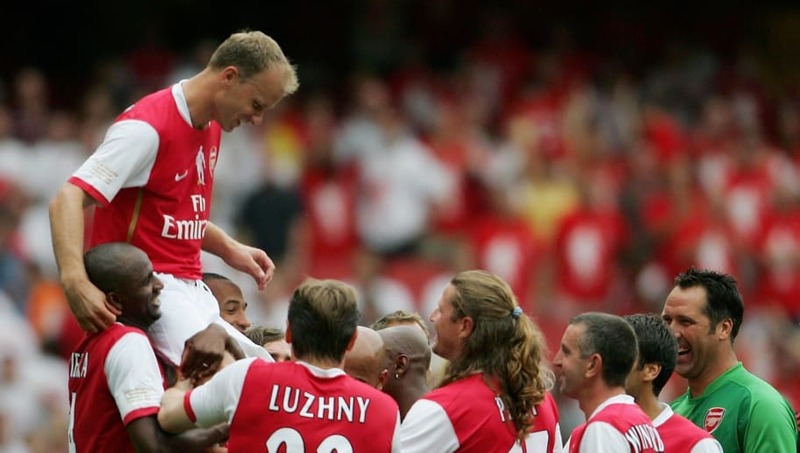 While his statistics at Arsenal were impressive, Bergkamp was more renowned for his ability to entertain – and his famous goal against Newcastle remains today the greatest goal scored in the Premier League era, as voted by his peers in 2017. When you think of the great strikers of the Premier League era, you think of Thierry Henry. When you think of the ‘Invincibles’, you think of Thierry Henry. When you think of Arsene Wenger’s Arsenal, you think of Thierry Henry. Henry could do absolutely everything you’d ask of a striker, and his partnership with Dennis Bergkamp remains one of the most devastating in the history of English football. With Arsenal, Henry won two league titles, two FA Cups, scored 228 goals and remains the record goalscorer for both Arsenal and France.